Peter Hicks died at Tasman Glacier, Mt Cook National Park on 12 November 2018, aged 57 years. A week later, not one but two aircraft hangers were needed to gather the friends, family and colleagues who came to say farewell. We all learn things at an event like this. I knew Peter liked his food and wine, but I didn’t know how well he could cook until I heard his family talk. I knew he understood numbers, but I didn’t know he ran his whole life on a spreadsheet. I knew he could stand up and take on responsibility, but I didn’t realise he stood up and took over teaching the chemistry lessons at school. I knew he was well respected and loved throughout the New Zealand Intensive Care community but didn’t think I would ever see a hospital cancel elective surgery and suspend outpatient clinics, so staff could attend a service. I knew he loved the outdoors, tramping, mountain climbing and biking, passions shared with Nikki his partner, but I never thought I would be sharing sorrow, joy and stories at his memorial service, only two weeks after walking together in Melbourne. Peter’s father was a Minister and the family grew up in several small towns in the Lower North Island. He was Dux of the school, a good cricketer and footballer. He studied medicine in Auckland, and after training posts in Auckland, Middlemore and Palmerston North, he returned to take up a specialist post at Palmerston North in 1993. Five years later, he was appointed as Medical Director of the ICU at Wellington Hospital. It is no understatement to say the growth and success of Wellington ICU over the next 20 years was largely due to Peter’s influence. The list of Peter’s involvements in healthcare organisations is incredible. It is not just the number, it is the breadth of interests which shows in this list: Secretary for the New Zealand branch of ANZICS, Course Director for Early Management of Severe Trauma, New Zealand Ambulance Board Medical Committee Chair, member of the New Zealand Trauma Committee of the Royal Australasian College of Surgeons, Medical Advisor for the C&CDHB Flight Retrieval service, Medical Director and Board Member of Life Flight Trust, Organ Donation New Zealand Advisory Committee, the Australasian Donor Awareness Program, the Major Trauma National Clinical Network, Clinical Director of C&CDHB Clinical and Corporate Support Services including Radiology, Laboratory, Emergency Management, Pharmacy and IT, and leader of numerous local, regional and national IT projects. He even personally ‘wrote’ the Wellington ICU database. However, it says so much more that when I asked Wellington colleagues about Peter, the first comments were about the shirts he wore and how he danced at parties. Australia and the rest of the world knew Peter best for his work with ANZICS. He was a member of the ANZICS Board for seven years and ANZICS President for two. He was an integral part of ANZICS CORE for over 15 years, as leader of the Critical Care Resources registry and most recently as Chair. He understood the power of wide-reaching comparative data about the resources needed to care for the critically ill. 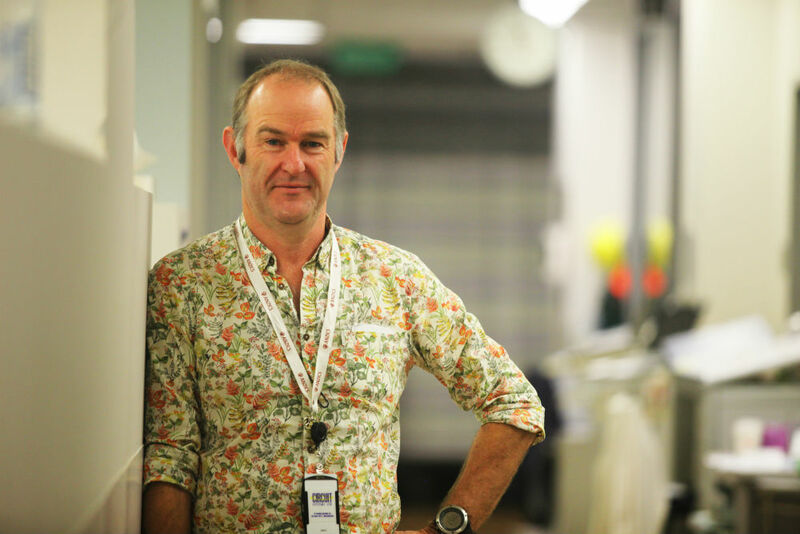 When you look at a report comparing your ICU’s staffing or occupancy to others in Australia and New Zealand, you are looking directly at Peter’s work. He was one of few people who really understood how to measure and compare ICU costs. In addition, he intimately understood the human costs of Intensive Care, the impact on families and patients, the support needed for staff and colleagues, and the bonds and friendships that are not only formed but also tested by the work we do. Peter leaves behind his beloved partner Nikki (who was with him at the time of his death), his children Anna, Cate and Ben, his friend and first wife Isabel, his sisters Liz, Carolyn and Allison and his mother Barbara. When his family spoke at the service, I cried for their loss and for the space that would take time to fill. When I think of the loss to our Intensive Care community, I see another huge gap which will take time and many people to fill. Peter was an inspirational, compassionate and approachable leader, but also a bit nerdy too. He would have laughed that we tried to estimate the number (my guess 800), distribution and potential impact of people at his memorial service. Few people combine analytic attention to detail with human caring qualities, but this was Peter – a numbers man and a people man, a friend and a colleague greatly missed. Many of you who knew Peter, will recognise your thoughts, messages and stories referred to above. There were many more stories.…… some are better spoken and laughed about amongst friends and family. Thank you, Peter for these. My heartfelt thanks go to those who have helped me put this tribute together, particularly Nikki Joseph, Bob Ure and Alex Psirides.